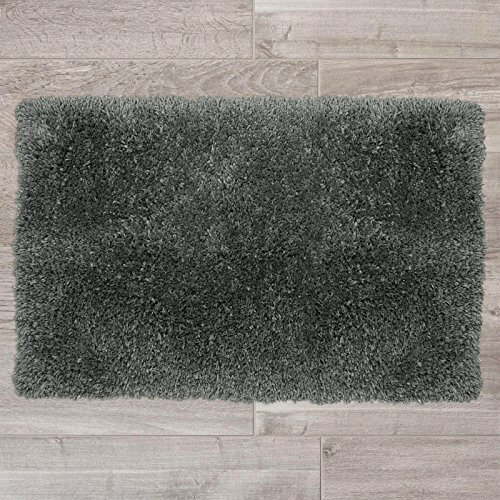 SMALL (17\" X 24\") GRAY SUPER COMFORTABLE SHAGGY BATH MAT - Our Shaggy Ultra Plush Area Rug is made of 100% super soft Microfiber, super comfortable when your feet step on it, Perfect for getting out of the shower or tub. HIGHT QUALITY - The Nestl Bedding shaggy mat is constructed with super soft microfiber. Soft fiber pile makes it possible to absorb water rapidly. This is just what you need to protect your feet from the cold floor at the same time you protect your floor from moisture.